Cool utility called Wordle. You feed it text, it makes the map. Here’s a fun one for you to play with. It’s a little utility called Wordle, and it’s available at www.wordle.net. You feed it text and it spits back these cool maps, much like tag clouds. The most common words get the biggest font; it goes down from there. Options abound, including fonts, color scheme, and shape. 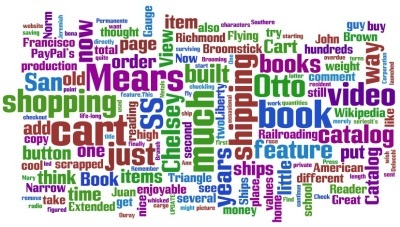 The main photo is what happened when I pointed Wordle at this site. I find it rather interesting that I can tell a lot about the site simply by looking at the map. I'm at it again! 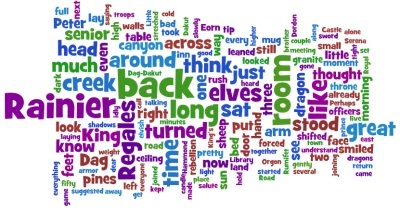 Here's a word cloud from Broom 1. And the fun goes on. I’m working on a new fantasy called The Unexpected Traveler. 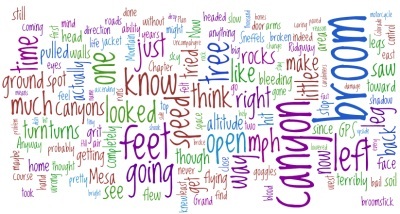 I thought it would be fun to do a word cloud for the most recent chapter, one I wrote just last night. It’s the bottom image. Note that Rainier is the main character. Looks like it shows! Wordle was created by a guy at IBM Research on his own time, though he freely credits other IBM Research personnel. I think it’s cool. Give it a try!